When you think of microfiber cloths, do you automatically associate them with detailing cars and cleaning eyeglasses? Perhaps with wiping down your computer screen? Microfiber cloths have come a long way since they were first introduced in the 1950’s, and they’ve evolved into one of the most useful and handy household cleaning supplies on the market! leave no lint or streaks behind. can hold up to 8 times their weight in water. can clean nearly any surface with just water. have split fibers that help grab dirt and other particles. are very easy to clean and maintain. are environmentally friendly and economical. Use a dry cloth to quickly and easily remove dust from surfaces. The microfiber is positively charged, while dust is negatively charged; so the cloth acts almost like a dust magnet, trapping the dust particles in one place instead of flying around everywhere. Polish your chrome faucets and fixtures with a couple of quick swipes of the cloth, and they’ll be clean and shiny in no time. Simply use a slightly damp cloth to clean the surface, wiping up dirt, debris and fingerprints, etc. Then, use a dry cloth to buff the area to a streak-free shine. You don’t even need any type of window cleaner here, but if you’d like you can always use my homemade glass cleaner. Microfiber mops are all the rage right now because they’re lightweight and ergonomic, making them much easier to use than the standard wet mop/bucket. Use your favorite homemade floor cleaner, and just spray it on your floors and wipe them clean with the mop. You can use an old Swiffer-type mop and just attach a microfiber cloth to the head. I use this one which comes with a refillable spray bottle, and just tie my extra-large cloths to it. For dry mopping, I use my old Swiffer sweeper and tie a dry microfiber cloth to it. 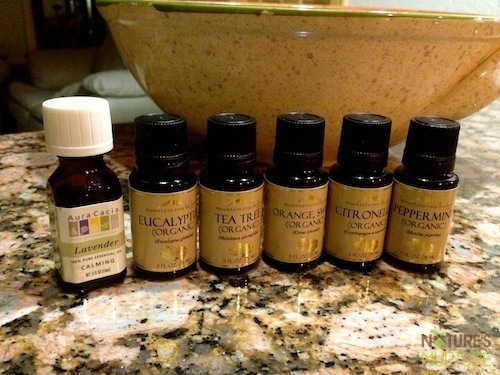 It works perfectly at picking up those dust bunnies that love to collect underneath furniture and on my laminate wood floors. 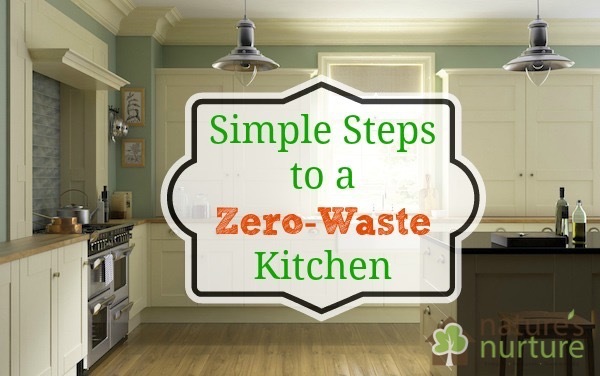 Wipe down the kitchen counters and stovetop with a damp cloth to clean up everyday kitchen messes. 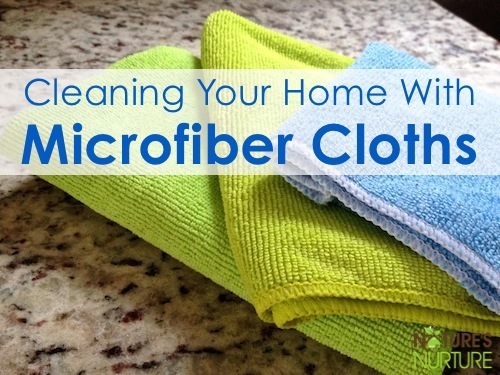 I especially love microfiber for cleaning up food messes on my glass stovetop! 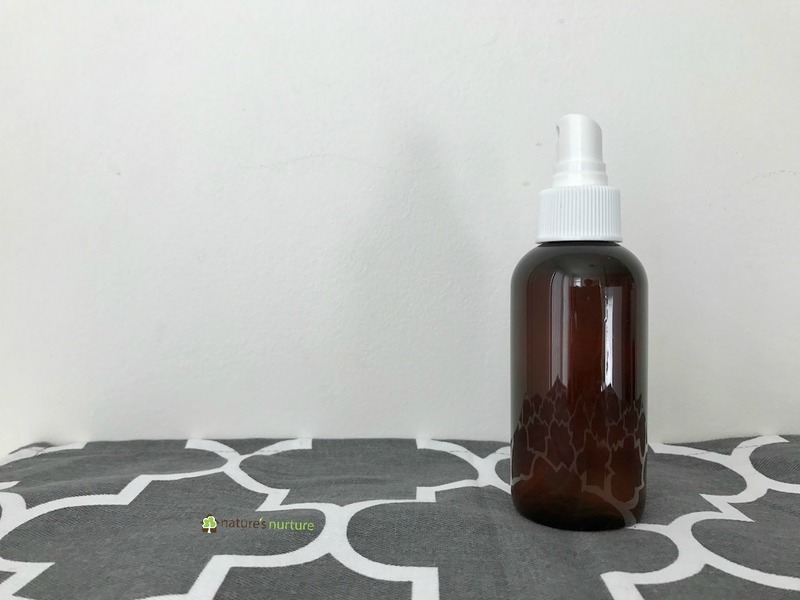 And if you feel so inclined, you can always add a few sprays of my homemade all-purpose cleaner or my homemade granite cleaner for extra cleaning power. I hang a microfiber cloth inside the cabinet door in my bathroom and use it to do a daily (I try!) wipe down of the counters, sink, and faucet. Then I just rinse it out, wring it out, and hang it back up. The bathroom always looks fairly clean, and it makes the deep clean days that much easier! After (almost) every shower or bath, I try to also dry all the wet surfaces with a microfiber cloth. 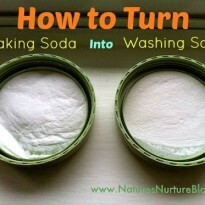 Any soap scum build up is quickly and easily scrubbed away by the tiny fibers. Sometimes I’ll spray a vinegar/water solution before I wipe them down, but not usually. Of course there are times where I just neglect this so in that case, I’ll spray my all-purpose cleaner and sprinkle with a little baking soda, then scrub down the tub with a brush or sponge for a deep cleaning. With small children in the house, there’s no shortage of messes and spills on a daily basis, so microfiber cloths are this mama’s best friend! 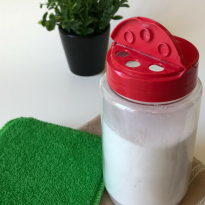 I used to go through so many paper towels cleaning up their messes, but a quick swipe with a microfiber cloth soaks up liquids, cleans up dirt and grime, and wipes away any mess my kids can leave behind. Then I just rinse it out and hang it near the sink, so it’s ready for the next job. I also use a cloth to quickly wipe down the dinner table after each meal. This is one of my favorite ways to use microfiber cloths, just because of the beautiful results I get! Use a damp cloth to wipe down your stainless steel appliances and chrome faucets, and stand back and marvel at how shiny and sparkly they become! This really makes for a nice finishing touch after you’ve cleaned the whole kitchen or bathroom – makes all the work worthwhile. 🙂 If I’ve got kid’s grimy handprints on the fridge or something, I’ll go ahead and spray some all-purpose cleaner before wiping it down, but it usually doesn’t even need that. I’ll be honest, I don’t clean my baseboards often, but when I do you bet I use damp microfiber cloths to whizz through this annoying job! These cloths pick up everything that collects on those baseboards and leaves them good as new. I think the only surface in my entire house that hasn’t been graced by the touch of a microfiber cloth is the toilets. I just feel more comfortable using a rag (made from old cut up t-shirts) when cleaning the toilet seats and outside of the bowl. I guess I could just designate a certain color that’s only used for the toilets, but I haven’t gotten there yet. 😉 Inside the bowl I spray my all-purpose cleaner, sprinkle with a little baking soda, then scrub and swish with a toilet brush. Rinse cloths out after each use, then hang to dry. Wash them with regular detergent, but DO NOT use bleach or fabric softeners. It’s best if you hang dry them, but if you have to use the dryer make sure you use a low heat or air dry cycle. Try to avoid washing them with other laundry that’s prone to lint as they’ll just collect the lint. These cloths have become so popular in recent years that you can find them in nearly any home goods store. If you don’t see them in the cleaning aisle. they’ll definitely be in the automotive department. You can also buy them in bulk at places like Sam’s Club and Costco. I’ve even seen them at the discount and dollar stores, and although they’re not very thick they do work well enough for lightweight cleaning tasks like wiping down counters. This set of microfiber cleaning cloths is a great starter set of good quality microfiber cleaning cloths. They have different quantities, but I think a 36 pack is a good place to start. They also come in 3 different colors so you can use a different color for each room. This microfiber dusting mitt is perfect for dusting and polishing , especially hard to reach surfaces and crevices. Since it stays on your hand, it makes this job a 100 times easier. 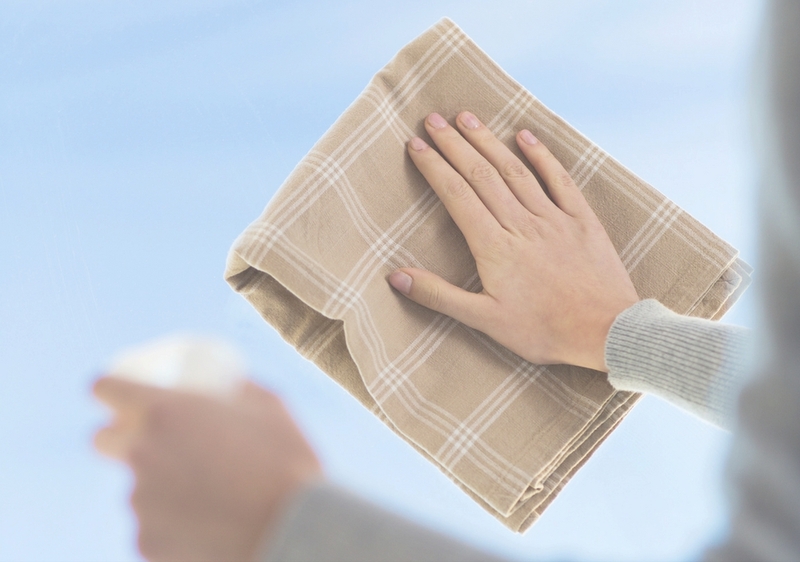 Have you discovered the cleaning power of microfiber cloths yet? What are your favorite ways to use them around your home? Still looking for the perfect one! The Norwex ® Microfiber mop is amazing. Try it! Window cleaning was always a huge problem for me, or it was until now, auch! 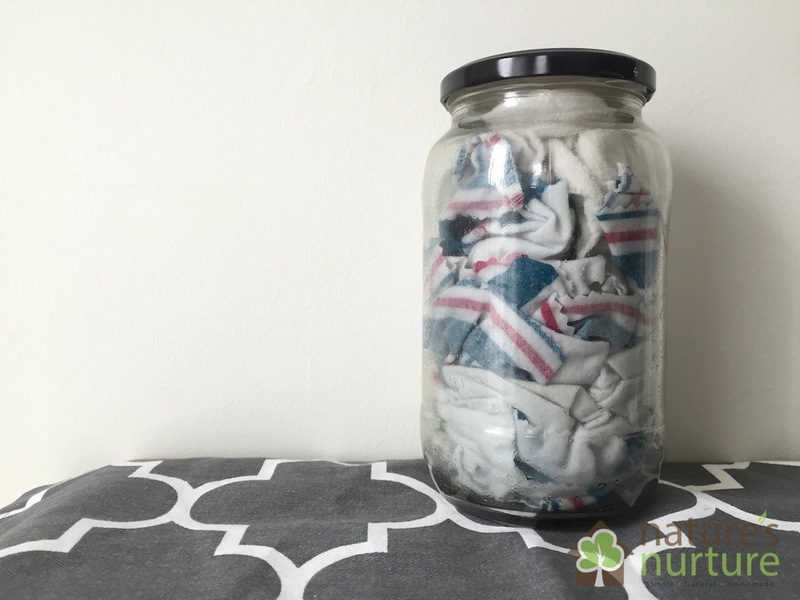 I’ve tried with all kinds of detergents, towels, newspapers, too… crazy. It was a mess, took a long time, my hands hurt, the effect – zero efficiency! So, my worries continued until next week, when my mother brought me a microfiber cloth, who, according to her, cleans everything, you just need a bit of water, no detergents at all. I bursted with laughter, naturally. She even took it for 10 pounds, well that was too much for me. Yesterday though i decided that it’s time to make the long-waited window cleaning and, as a joke, I took this microfiber cloth. Ok, there is nothing else compared to in this world. I was just amazed – it’s like magic. For around half an hour I cleaned everything spotless. Said to myself – why not transfer this technology to everywhere at home! Are there any particular microfiber cloths you use? The ones I have just seems to snag on everything and are rough? Snagging is good! That’s a sign of a good cloth with lots of tiny little fibers. I’ve linked to some good ones from Amazon at the end of my post, but I’ve also picked them up at Costco. Even the dollar store ones get some use in my home for the everyday wiping down of my kitchen counters. Can you wipe back and forth when cleaning with a microfiber cloth? I saw on a you tube someone in Europe do the one way direction.